Football supporters are benefitting from giant signs pointing the way to entrances and all the facilities at the bet365 Stadium. The striking 3D images have been designed by Stoke-on-Trent based design and print specialists Graphix, in collaboration with Stoke City Football Club. Using architects’ drawings and photographs, Graphix produced wayfinder signs mounted on walls and freestanding posts around the perimeter of the stadium. 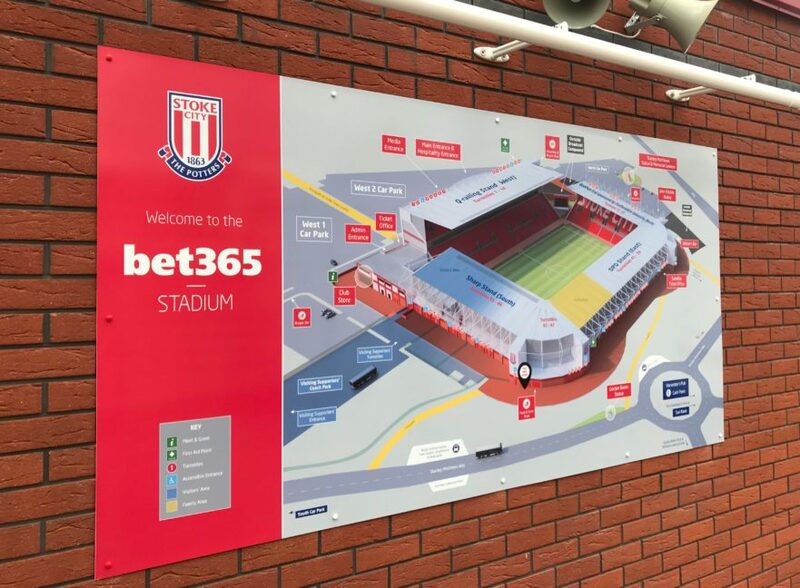 Anthony Emmerson, Supporter Growth and Services Manager for Stoke City FC said that, along with the club’s marketing and facilities team, he had been looking at ways to signpost visitors to locations around the ground. 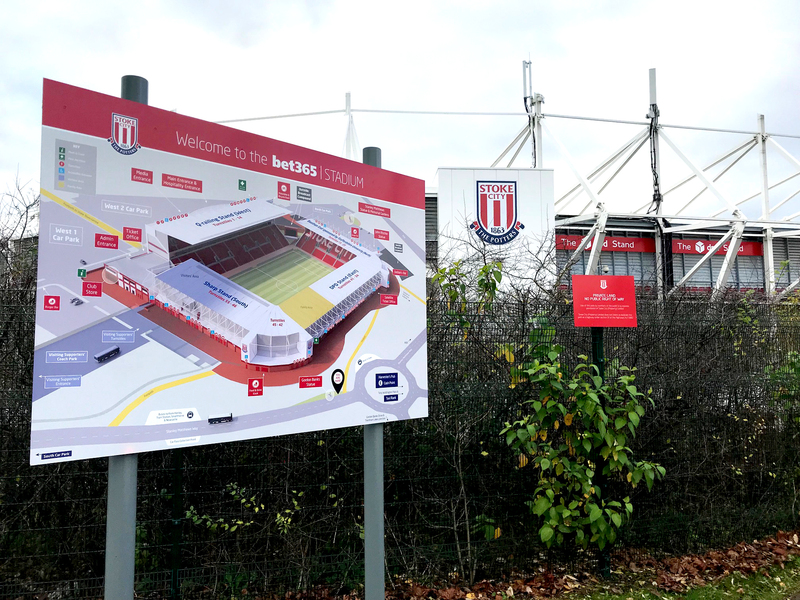 The new signs show entrances, paths around the stadium, safety assembly points, matchday bus stops and even attractions such as the Sir Stanley Matthews and Gordon Banks statues. The company is responsible for design, production of all signage at the bet365 Stadium. Graphix also works with the bet365 company, along with other well-known names such as Novus, Butters John Bee and Help for Heroes.